Congratulations to the Westshore Classic champions - Medina 7/8 Girls! The team defeated Brunswick, Avon Lake, Bay Village and Avon to win the 2018 Westshore Classic. 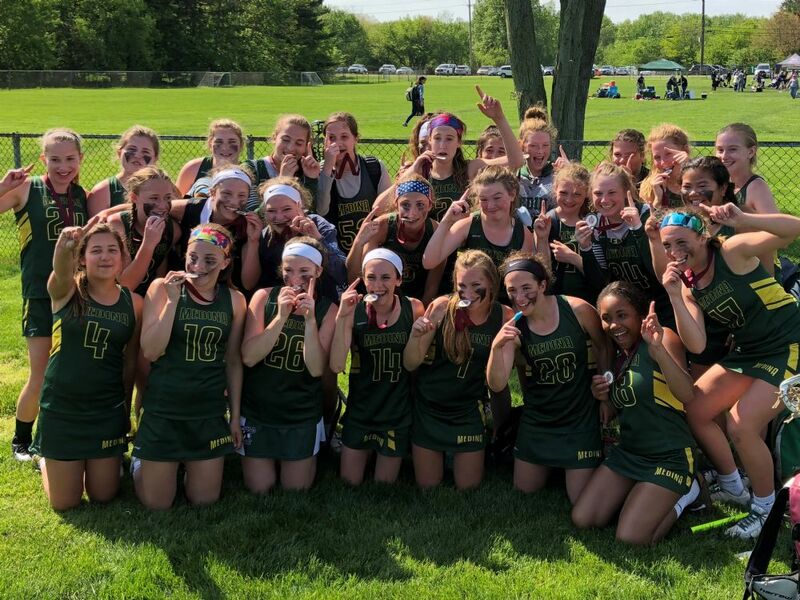 With 3 seconds remaining in the final game, 7th grader Mia Diperna scored the go-ahead goal and Medina took home the trophy! The team went 20-3-1 for the season and Coach Brett Vaccarelli is extremely proud of the work the girls did all year.